Here's a few quick comparison swatches of some of the new Essie Luxeffects topcoats next to similar polishes from my stash. None of these are exact matches of each other, but they do all share a similar gold flake. 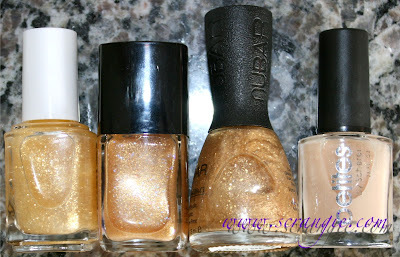 Nubar Gilded Gold and Chanel Illusion d'Or are the most opaque. Essie As Gold As It Gets is my favorite for layering because it's pure flakes and doesn't cover up the base polish too much. Chanel Illusion d'Or would be my choice for wearing alone because it's very dense and it has awesome blue glitter. The only difference between all these is the amount of shimmer. They're all the same color and only slightly different textures; the Nubar has the biggest particles, the Essie seems to have the smallest. Essie Pure Pearlfection has the most shimmer in one coat, Nubar Pixie Dust has the least. These are pretty much all the same. They look the same. The only difference between any of these is the coverage. 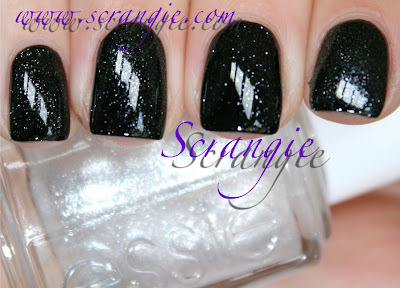 Essie Shine of the Times is the most densely packed with flakes, Nubar 2010 is the least. Sally Hansen Hidden Treasure is the second most opaque and GOSH Rainbow is somewhere in between. If you have one of these, you really don't need to have them all. I personally like the Essie one just because it's so opaque, but they're all good. Are there any other similar polishes to these? These were just the first ones I could think of, but I'm sure there are more out there. Thanks for the comparison lady :). Now I don't feel like I NEED to have Shine of the Times. Thank you so much for comparing all of these colours. I bet it'll help a lot of people! I was curious about Essie Shine of the Times because, well, flakies always get me. 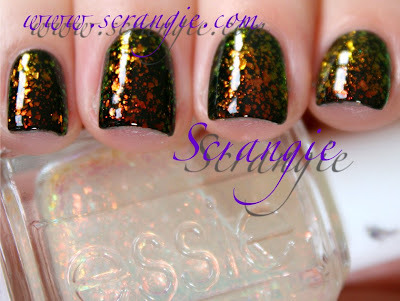 But since I have Nubar 2010 and Sally Hansen Hidden Treasure, I'm going to pass up the Essie. All of them are so gorgeous! Thank you SO much for these comparisons! It's hard to choose what to get when there's so many similar options. For the gold ones, I prefer Essie As Gold As It Gets because the others are too dense to let the base show through. The first two are kind of cloudy. As for the flakes, I don't own any of the others, so Shine Of The Times is a great option for me. I really like the ones from the second comparison. I should get my hands on one of these! CND 24K sparkle is an almost identical gold flakie, and CND Sugar effect seems to be pretty close to the pearlfection. Omg. I want the last one! It's not one of those three, but I just went and ordered Kleancolour's chunky silver glitter because it looks pretty similar to Set in Stones. Not sure if you have this one on hand for comparison, but if you do, how does As Gold as it Gets compare to NYX Gilded Glitter? This is an awesome post. I have Shine of the Times, but I recently purchased Nails Inc Donmar, as well, and now I'm wondering if I shouldn't have bothered. I'm not sure if they're identical, but I think I probably didn't need both of them. I just purchased the 3 Essie polishes but haven't had a chance to use any of them. But seeing how lovely Shine Of The Times is, I am gripped by the urge to buy at least 2 backups, lol (I don't have anything similar). Any truth to the rumor that these will be added to the permanent line? I don't have any of the comparison polishes, so I went ahead and ordered these new Essie polishes. I can't wait to play with them! What about NYX Gilded Glitter as a dupe for As Gold As It Gets? 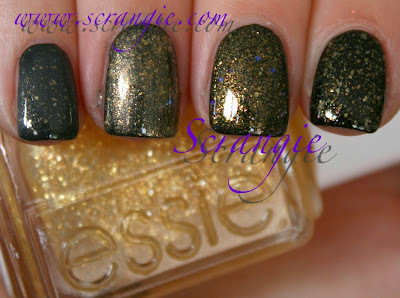 I will have to get Essie's As Gold As it Gets. I love Hidden Treasure. I think they all look alike. Lots of nice layering options. Thanks, everyone! Glad I was able to help! Leanne, ugh, tell me about it! I hate numbers as names, makes it impossible for me to remember! Splash, thanks! I haven't seen that one before! Blkrox, you know, it doesn't say anywhere on the press release that the colors are limited edition, but some of the stores are saying it is... I'll see if I can find out! Thank you. Now I can take Shine of the Times off my wishlist as I have 2 bottle of 2010 already. 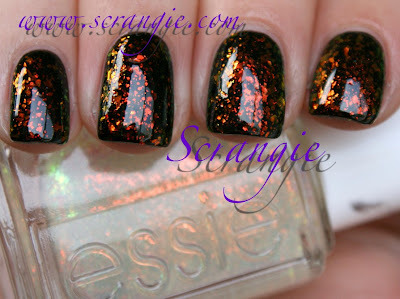 I love Essie Shine of the Times! I am a newbie to nails and don't own anything like it (or any flakies, for that matter). I'm very happy with it and anticipate using it for my next few manicures. 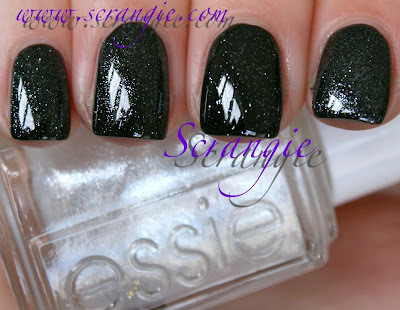 Blkrox, my Essie contact just informed me that these are PERMANENT! Yay! You're the BEST!!! Thank you so much for posting this. 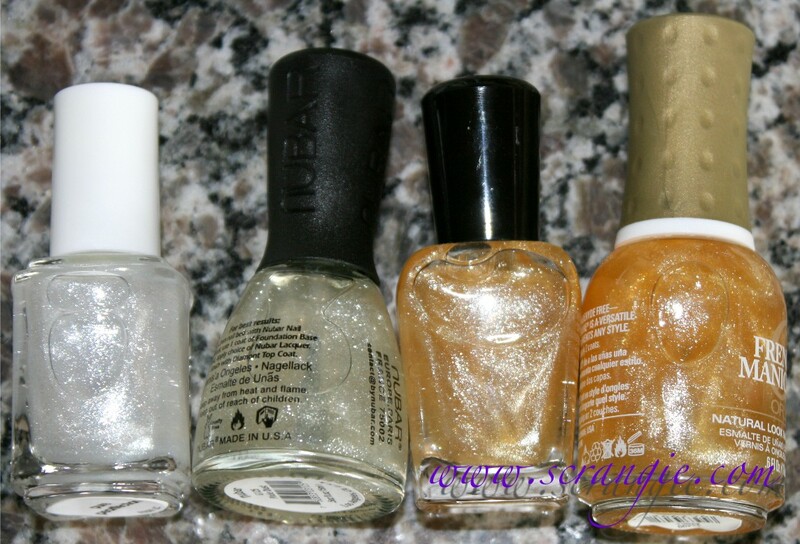 I picked up Gold as it Gets and the silver/pink glitters b/c I have Nubar 2010 already and like 4 sparkly white microfrost topcoats. I have a post that I did yesterday showing Shine of the Times over various colors. I like it best over darks, specifically red and blue. i've never seen anything like shine of the times before, so i'm definitely picking that one up. I couldn't get hold of GOSH Rainbow when it came out so I bought Andrea Fulerton Gemstone Topcoat instead (available from Superdrug in the UK, I don't know if you get AF in the US) and it's pretty much identical! Heck yea! This helped!! I just got into all this nail stuff & running outta nail $$$$$$$!!! AND THIS ONE IS A MUST!! THANKU Dear! !